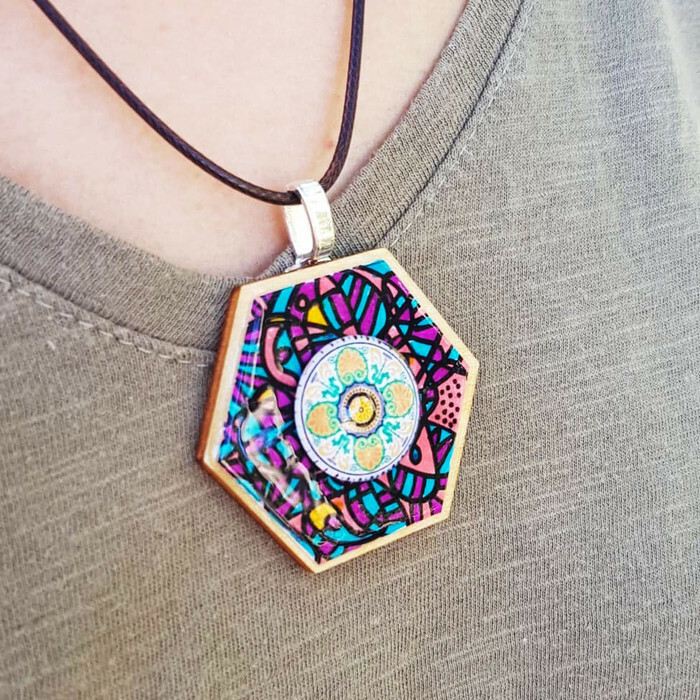 This lovely hexagon shaped necklace features an original ink line art drawn on paper, securely attached onto a hexagon wooden tile and then an existing patterned glass cabochon added on top of the line pattern to create a focal point. 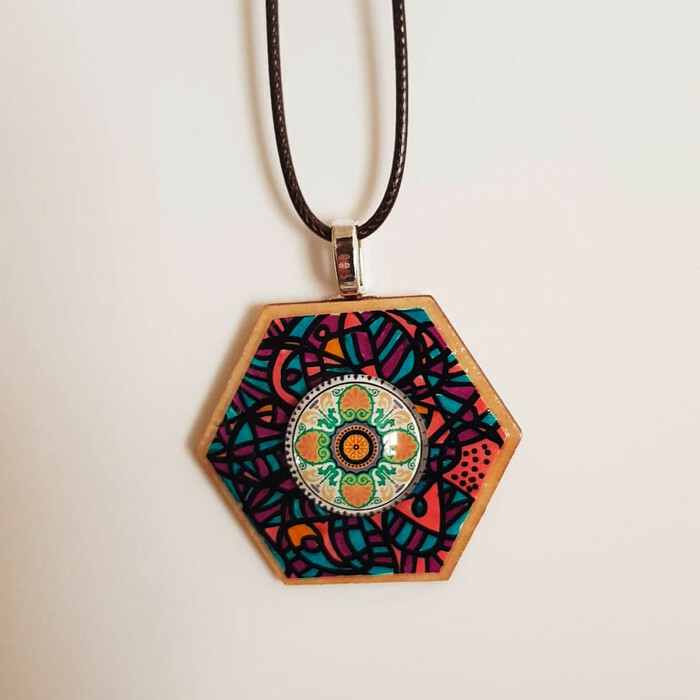 It is colorful and very wearable art that you can take anywhere with you. 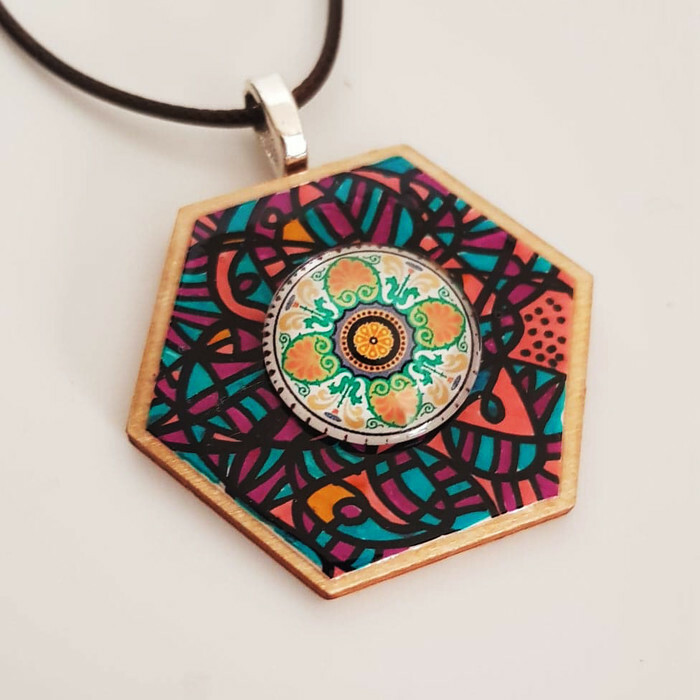 The size of the pendant is 4 cm x 4.5 cm. It is not recommended to shower or swim with the necklace. There will be imperfections as it is hand cut and hand drawn which makes it unique and special.